As with other fan exclusives shown at D23 (at which all cell phones and cameras were confiscated on entering), the rest of us won't get to see what attendees did for some time yet but 2016 is rapidly drawing closer so I'm guessing the Christmas season promos will give us more to look at. 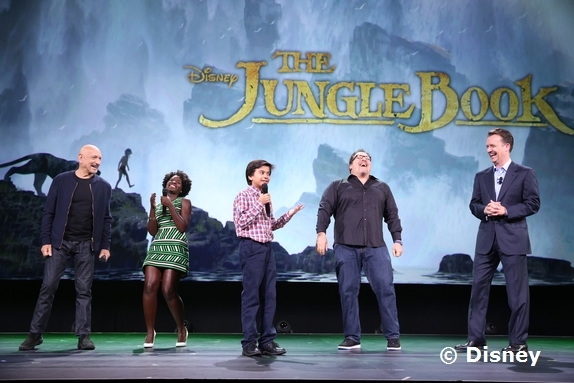 Director Jon Favreau unveiled the first trailer for Disney’s “The Jungle Book” and brought stars Lupita Nyong'o, Ben Kingsley and newcomer Neel Sethi onstage at Saturday’s D23 Fan Expo in Anaheim. 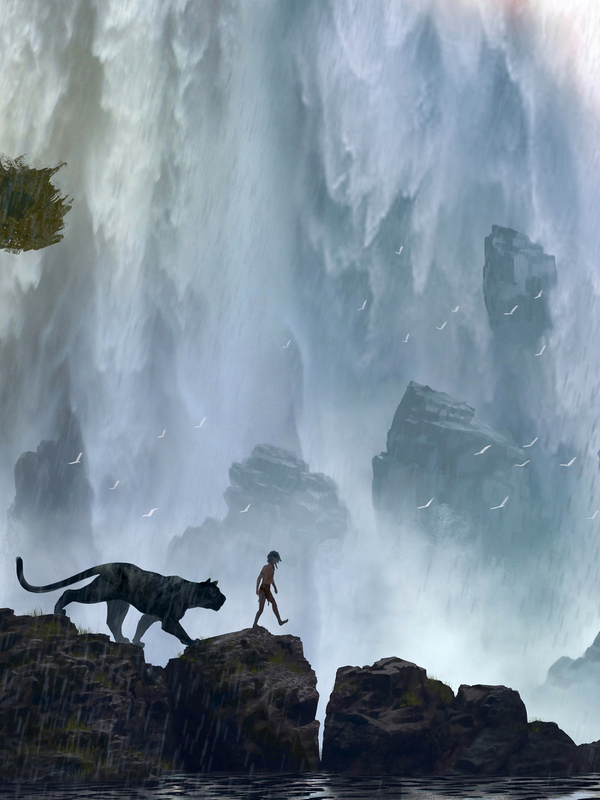 We see Idris Elba‘s killer tiger Shere Khan stalking Mowgli through the outback in a thrilling sequence that ends with him jumping off a cliff, after which he’s discovered by Bill Murray‘s Baloo the Bear. Baloo tells Mowgli to “relax” and that “there’s no need to get worked up.” Then he sings the classic Disney song “Bare Necessities,” a song about “the good life,” though Mowgli confesses he doesn’t know what a song is. “Everyone’s got a song,” Baloo assures him. 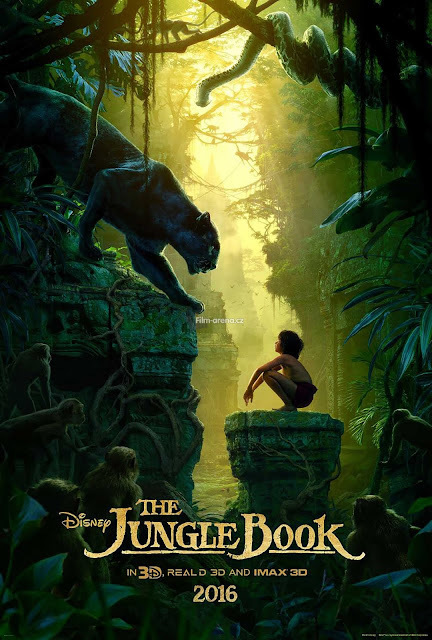 As the trailer nears its end, we see Shere Khan warning Mowgli that “if you come back, I’ll be waiting,” then the footage concludes with Christopher Walken‘s orangutan King Louie saying “I am the king!” — which brought the house down. New star, Neel Sethi, handles his first public appearance very well. And a very short video via Yahoo Movies is worth taking a peek at as Jon Favreau speaks about the classic comedic animation classic versus Kipling and his approach on trying to find the balance of both. “A lot of liberty was taken in tone in the ’67 animated film, because the source material was much darker,” Favreau tells Yahoo Movies during a chat at D23. 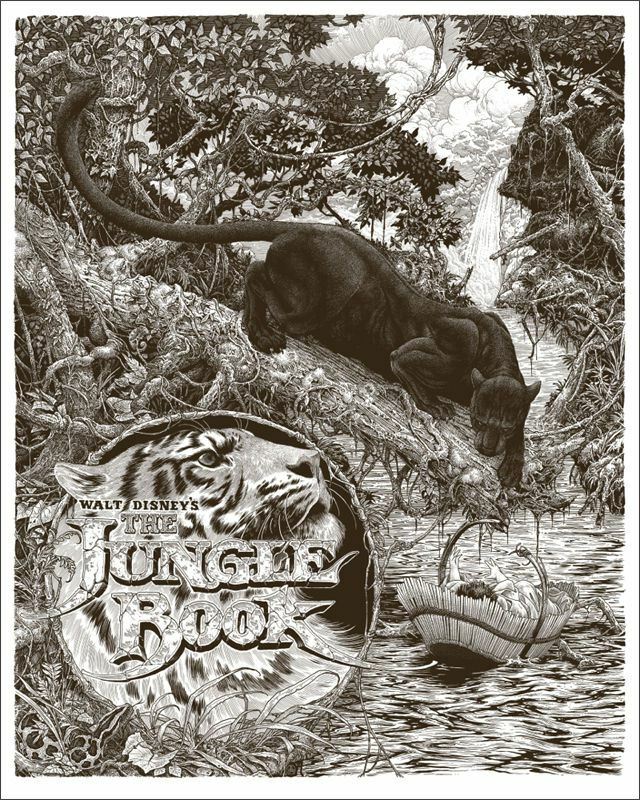 However, Favreau felt a deep connection to the original Disney movie, particularly regarding the music, the tone, and “the playfulness of the characters.” So in creating new version, Favreau drew on both the book and the cartoon. “I tried to pick out the aspects [of the 1967 movie] that I found most memorable and that I connected with the most, and made sure that we protected those as we explored the combination of those things,” (Favreau) explains. 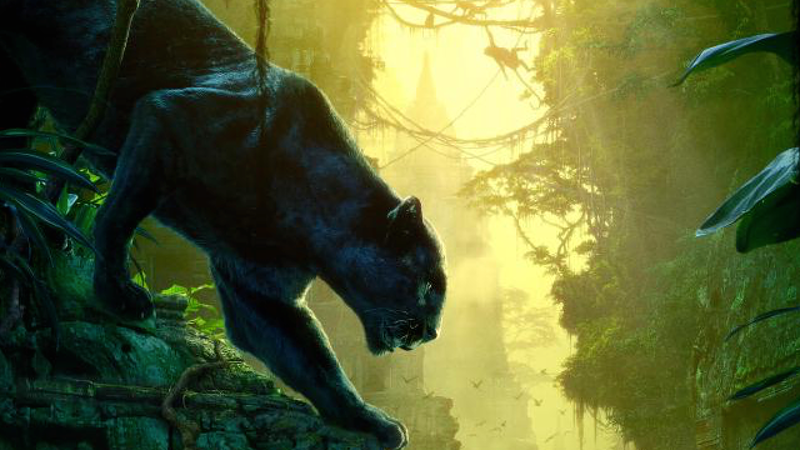 Overall, this definitely sounds like it beats the first Disney live action remake by leaps and bounds, but will it be worth seeing in the theater? What do you think? Mondo posters is well known for their artistic alternative versions of movie posters and The Jungle Book has a couple done through them. The one below though is particularly lovely, hailing both classic book and future live action film beautifully. The artist is Brandon Holt. Brandon Holt did an amazing job on the alternative movie poster. The fine details and texture of the panther's fur are exquisite. I should admit that I haven't read the original Kipling story of The Jungle Book, but I will take a look at the ebook you gave us in the post. 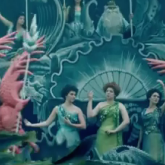 I'm glad that they are keeping the movie as a musical; many of the songs are iconic from the 1967 movie. It's easy to be skeptical of CGI, but I tend to be more open to the remakes movie makers are doing these days of the older films. The visuals really bring the story to life and often the remakes highlight a different side or twist on the well known story. Eek! The previews I've seen look beautiful! It's heartwarming that they seem to be going back to the original story to inspire live action films. I'd love to see some more depth! Northlore Series Open Call for Submissions! Disney's "Gigantic" News From D23 Today! Ask Baba Yaga: What Happened To My Nightmares? 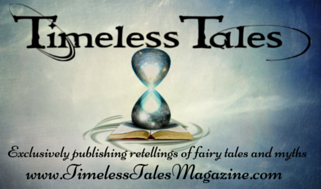 Grimm Scavenger Hunt Coming to LA in 2016!